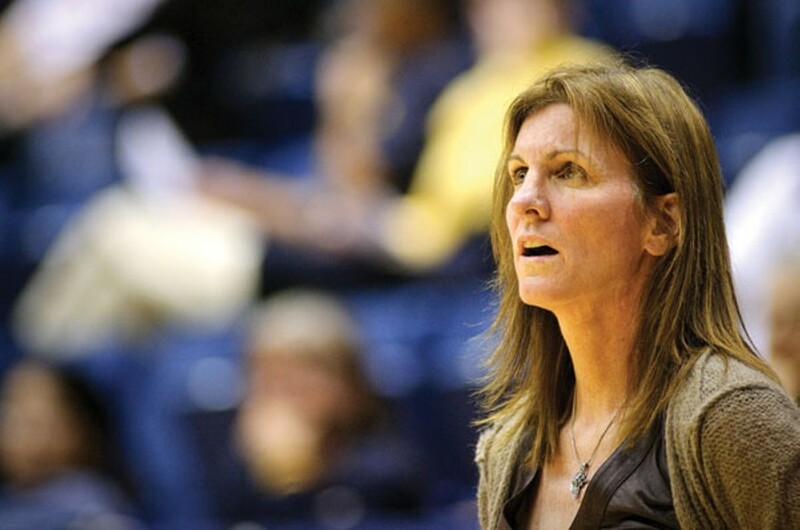 Chris Duffey Boyle had to work to gain the trust of her players following her arrival at Cal. Chris Duffey Cal women's basketball coach Joanne Boyle tutors some players during a recent practice. Chris Duffey Alexis Gray-Lawson said Boyle is like her second mother. Chris Duffey Tierra Rogers was a standout defensive player from San Francisco who was highly courted by several programs. Chris Duffey Rogers has continued to attend practices following the discovery of her career-ending heart condition, and Boyle remains close to her. 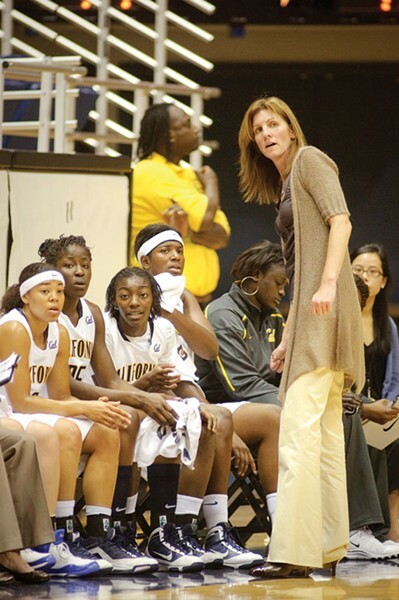 When Joanne Boyle became head coach of UC Berkeley's women's basketball team, her program was an afterthought. Cal had gone twelve seasons without a winning record or a finish in the top half of the Pac-10 conference. During games, Haas Pavilion was another quiet place students could go to and study. But in the four years since, Boyle has resurrected Cal's program. Since 2005, her teams have won at least twenty games three times, and made NCAA tournament appearances every year. Last season, the Bears had the best season in the university's history, winning 27 games and advancing to the NCAA Sweet 16 for the first time ever. Boyle's predecessor, Caren Horstmeyer, had recruited well for the 2005 season. 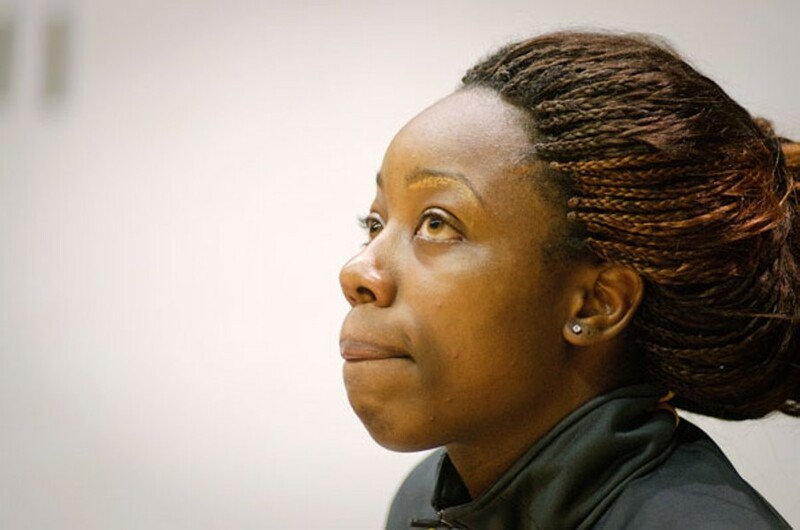 Devanei Hampton and Alexis Gray-Lawson were nationally rated recruits from nearby Oakland Tech who liked the idea of turning a perennial loser into a winner. Horstmeyer had then wooed Jene Morris from San Francisco, Shantrell Sneed from Berkeley, and Ashley Walker from Modesto, a recruiting class ranked in the top five nationally. Yet before the quintet hit the court, Horstmeyer was let go by new athletic director Sandy Barbour. She had committed the cardinal sin, overseeing five losing seasons during her tenure at Cal. And she also didn't beat the Cardinal, Cal's arch rival Stanford. A national search ensued, and more than one hundred coaches applied, intrigued by an opportunity at a name-brand institution with top players all ready on board. Eight to ten were considered seriously, and five came to Berkeley for a thorough look-see. Boyle, a rising star, was hired, following three impressive seasons at the University of Richmond, a school with no prior tradition in women's basketball. It was Boyle's big break — if only she could find common ground with a close-knit and probably skeptical group of players. But the situation was difficult, Barbour said. "She recognized the dynamic right away," the athletic director recalled, "and then she did all the right things." Lindsay Gottlieb, Boyle's top assistant at Richmond and also for her first three years at Cal, remembers a rougher transition. "That first year was unlike anything else we had experienced," Gottlieb said. "Those players looked at us like aliens from another planet. But Joanne worked day after day to gain their trust." Boyle stood by a simple pitch, and made it stick in her daily interactions with the team: "I know how to do this. We can do it together." Yet along with her easygoing mantra, she also required her players to have perfect class attendance, physically demanding workouts, and daily practices topped off with unappealing study sessions. Boyle didn't sugarcoat it, but instead helped her players find the joy in the grind. "She never let them operate at a level one iota removed from what was expected," Gottlieb said. "And they appreciated that." While other Cal students found their stride more casually, blending academics and social interactions, Boyle led her team on a structured path, forcing them to find peace in concert with each other. 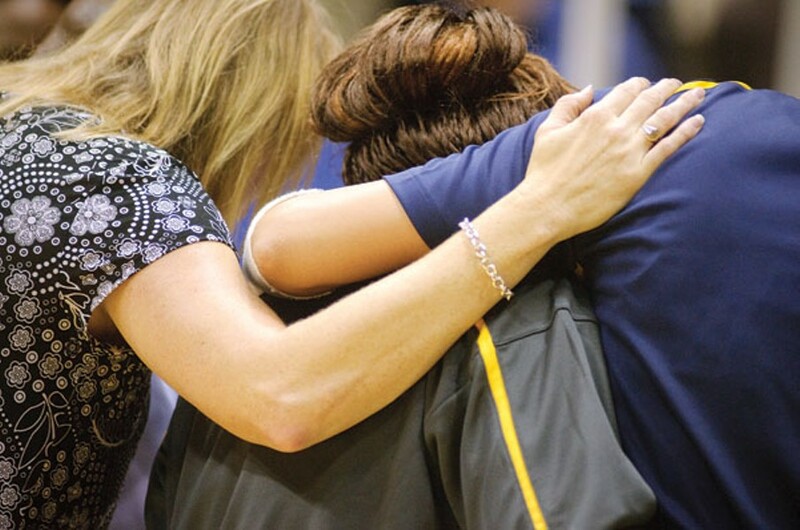 The women's basketball team became a family, with Boyle as the surrogate parent. "She is a great person," Gray-Lawson said. "I think you don't get that from a lot of people. If I ever had a problem or an issue, or whatever is going on in my life, I can always go and talk to her. I don't think that a lot of people can say that about their coach. [She's] like my second mom." The growth process was complicated. Gray-Lawson wore here her changing emotions on her sleeve, but eventually became Boyle's steady leader on the floor. In close games where will and talent take precedence over a coach's complicated playbook, she took the big shots. Meanwhile, Hampton broke team rules and started her career with a highly publicized suspension. 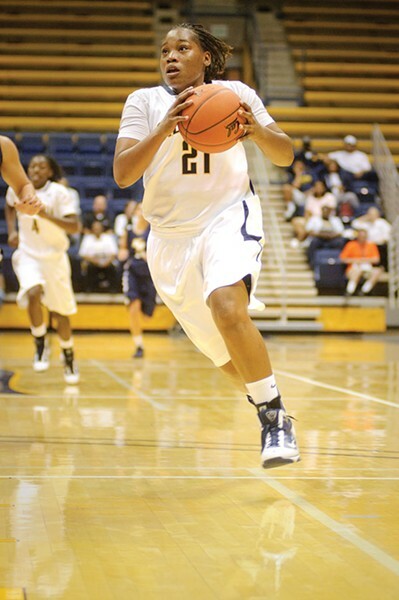 Yet by her sophomore year, she had matured on and off the court and was named the Pac-10 Player of the Year. Walker made the biggest jump as a player, becoming good enough to be the first Cal player to be drafted by and then play in the WNBA. In her final two years, Walker emerged as the team's focal point, forcing a team of stars on the high-school level to adjust their egos. Morris, a singular star in high school at San Francisco's upscale, private Urban School, flourished on the court but failed to mesh with her teammates or Boyle. She transferred to San Diego State, a program more destitute than Cal, and became the centerpiece in the Aztecs' dramatic transformation. Sneed didn't develop as a player, spending the majority of her career on the bench, but she never soured on Boyle or her teammates. "Those guys wanted it," Boyle said. "They came to Cal because they were local kids and they really wanted to put this program on the map. In four short years, they really did that." Boyle's early teams developed a reputation for sticky defense while stubbornly feeding the ball to Walker and Hampton, their stars in the post. With superior talent, winning came immediately. But the real difference maker was Boyle's people skills. The varied and nuanced relationships she forged with her players created a cohesive atmosphere. And, as the first group has graduated and other talented players have arrived, the atmosphere has remained constant.